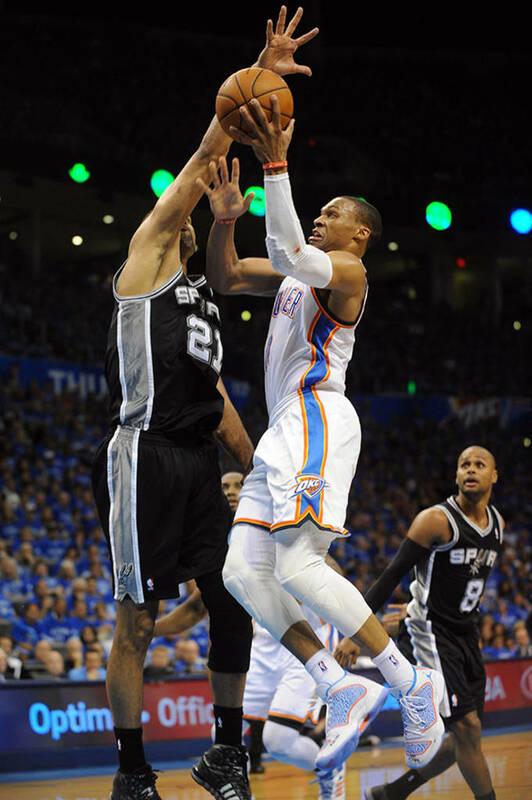 After a few lineup changes the Oklahoma City Thunder might&apos;ve found a way to stay competitive with the San Antonio Spurs. OKC jumped out to a 57-53 lead on the strength of a Russell Westbrook three with 00.6 seconds left in the first half. 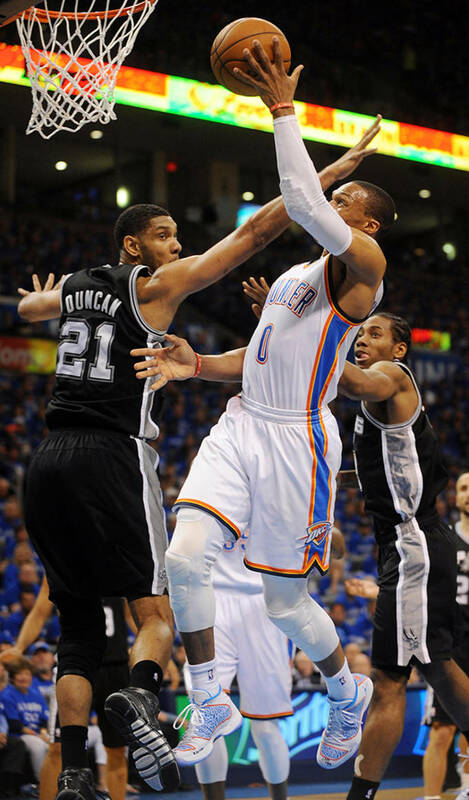 The three was a response to a Manu Ginobili three on the previous possession. 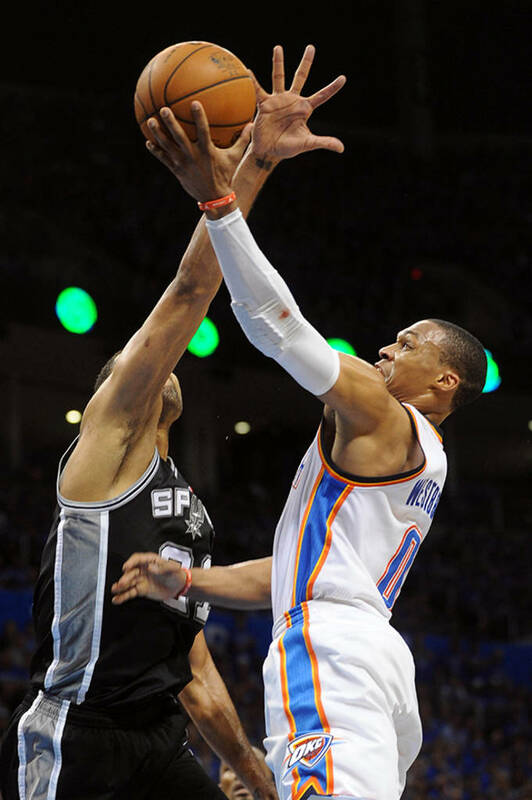 Westbrook struggled early on but made the most of his situation with two treys to close out the half. 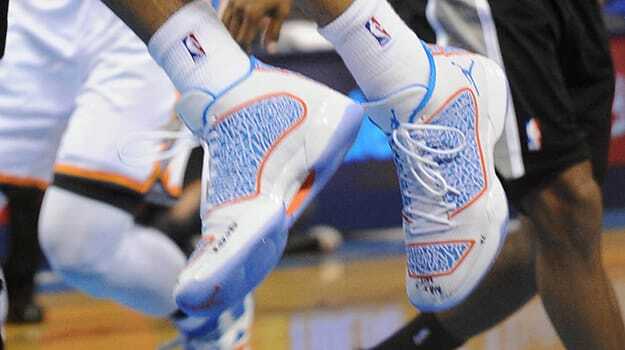 Westbrook wore the elephant print PE of the XX9 that he&apos;s worn for a majority of the playoffs. He&apos;s also worn a few other colorways of the XX9 as well as the XX8 SE in the playoffs.